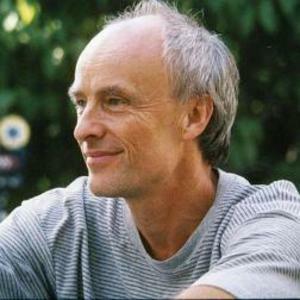 There is more than one artist with this name: 1) Georg Deuter / Chaitanya G. Deuter is a German new age instrumentalist and recording artist known for his meditative style that blends Eastern and Western musical styles. Born in Falkenhagen, Germany, in 1945, Deuter taught himself how to play the guitar, harmonica and flute as a child, though as a young adult he pursued a career in graphic design. 1) Georg Deuter / Chaitanya G. Deuter is a German new age instrumentalist and recording artist known for his meditative style that blends Eastern and Western musical styles. Born in Falkenhagen, Germany, in 1945, Deuter taught himself how to play the guitar, harmonica and flute as a child, though as a young adult he pursued a career in graphic design. A car accident in 1970 convinced him to pursue music career instead, and he released his first album, Deuter in 1971. He traveled the world seeking spiritual enlightenment and musical experience, notably recording in Poona, India while living in Osho's ashram, As a disciple he worked closely with his guru in composing music used during various meditation techniques. He also recorded music with other musicians generally known as Music from the World of Osho, Govi, Karunesh, Anugama, Miten to name a few. After returning to the West during the 1980's he lived in various places before ultimately moving to Santa Fe, New Mexico. USA. Deuter continues to record on the German label Kuckuck. 2) Deuter, a Polish punk band.